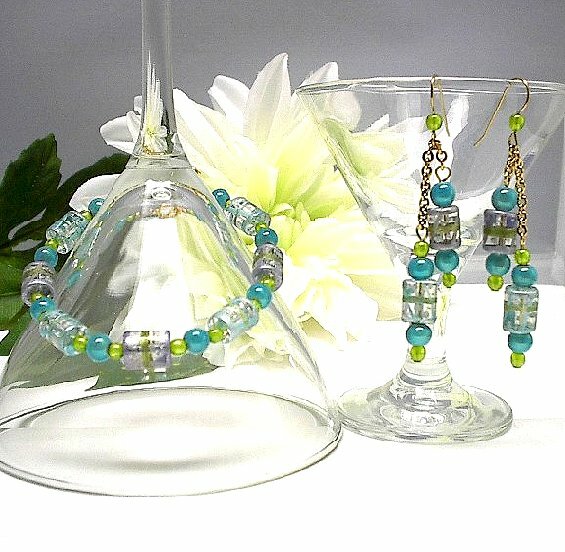 This beguiling bracelet and earring set features clear glass tube beads that have been hand-painted with bands of aqua, lavender, and peridot green. I?ve added spacer beads of peridot glass and aqua blue Wonder Beads? that glow like nothing on earth. The approximately 7-3/4? bracelet closes with a gold plate toggle clasp. 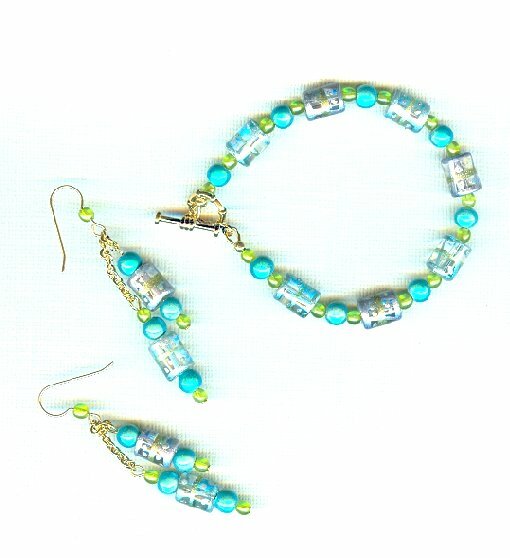 The bracelet and earring set features matching earrings feature the same beads and dangle about 2-3/4? from the tops of their 14kt gold fill earring hooks. Look no further than SparklePlentyToo, for a pretty and affordable bracelet and earring set.